Bad credit? No credit? No problem! At Integrity Auto Finance, we finance bad credit! Not only that, but we’ll make sure you have affordable payments when we get you into your next vehicle! Check out the video below to learn more about how an auto loan with Integrity helps rebuild your credit, as well as how you can earn cash by referring new customers to us! Dontay Pompey (Sales Manager): Have you noticed that nowadays, having good credit has become more valuable than cash in most cases? I mean, statistics show that a person with bad credit ends up paying more for the exact same products or services as someone with good credit may pay. That’s unreal! And we care about that here at Integrity! So that’s why, here at Integrity, we report to all three credit bureaus — helping our customers increase their credit score and take advantage of the financial benefits. But just remember, you have to make on-time payments — that’s the number one way to assure great, positive results. Cedric: Bad credit? No credit? These guys are serious about that. Jessica: No pressure, at all. When I came in, they were nice, friendly, likable people. Bradley: The selection of vehicles they have; the quality of vehicles they have. Lorraine: What they say, it’s real. Semaj: Their word is their bond. I wouldn’t go anywhere else to buy a vehicle. Jacob: People around here, they pretty much treated me like family. And now, when I come in here, everybody says ‘hi’ to me; everybody knows me by name. Sharon: They didn’t look down on me at all because of my credit. They helped me out, actually. Now I have the car of my dreams! Preston Miller (Integrity Auto Service): So, what makes Integrity the best? Well, it starts with our inventory. We hand-select every vehicle with customer satisfaction in mind. Narrator: We have a wide variety of trucks, ranging from standard work trucks, to high-end specialty trucks, and everything in between! Ryan: I love my car because the rims are beautiful. It’s black on black — that’s one of my key things that I was looking for. The back doesn’t just open like a regular tailgate, but it also has the release here! I love my wheels because they’re XD Series; they’re some of the best rims — top-of-the-line rims — you can get on the market. Mud tires — I don’t have to worry about any slips or anything of that nature. From the sales people to the mechanics, everybody is family-oriented; they make you feel like you’re family. Anytime that I’ve ever called, they answered all my questions; nobody tries to give me the runaround. So, I really appreciate the fact that they’re down-to-earth people. They care about their customers. 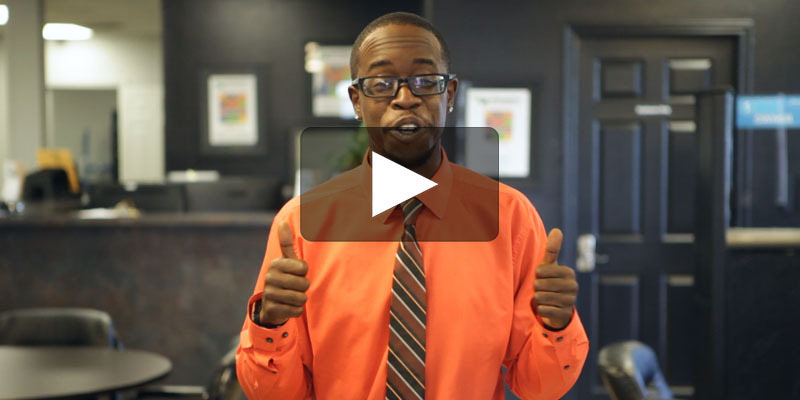 Dontay Pompey (Sales Manager): Don’t forget about our Referral Program that actually pays! Just remember, the first person you send us that purchases a vehicle, you’ll receive $200; for the second person, you’ll receive $300, and for the third person, you’ll actually get $500 — as long as all three are within a thirty-day period. So go ahead and get paid while helping your friends and loved ones get into a reliable vehicle and build their credit!